30 years ago a 67 gram Mars Bar was just 15p. In 2015 the same chocolate bar now costs 60p and has shrunk to 51 grams – all meeting the company pledge of not exceeding 250 calories per bar. 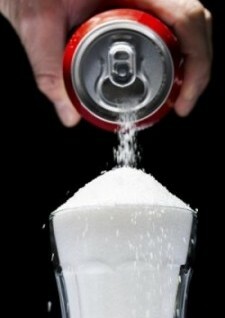 But with a proposed tax on sugary products, it is estimated that this price could rise to £1.20. This week at StockdaleMartin, we have been debating whether a sugar tax could change behaviours, or is it that we rely too much on sugar that the added cost won’t make a difference? Chef and campaigner Jamie Oliver, is urging the Prime Minister to impose a 7p sugar tax on all cans of soft drinks with added sugar. If successful, £1 billion could be raised in the first year and used to support the NHS and educating children at schools on nutrition. Oliver has already imposed this scheme in his own restaurants, Jamie’s Italian, adding 10p onto sweet drinks. It is expected that he will raise £80,000. But will this added cost make us think more before buying a sugary drink? Or is child education the way forward in lowering our sugar intake? The majority of us here believe that educating children alone is probably not enough, given children’s diet are often down to the parent. Parents can opt for convenience food as a quick and easy meal solution, most commonly take-aways and ready meals. Studies reveal that supermarket ready meals may contain up to ten teaspoons of sugar (50.7g) – towering above the recommended sugar allowance for adults of 30 grams per day. Swapping from a sugary treat to a healthy one could not be easier, yet “temptation” may be harder to overcome. An ordinary can of Cola contains the equivalent of 20 sugar cubes, versus the recommended adult sugar intake of 7 cubes a day and for children aged between 7 – 10 years being 6 sugar cubes. Change4Life Smart Swap scheme aims to tackle this and encourage consumers to swap sugary drinks to “sugar-free” drinks. Aspartame can be classed as a “smart swap” as it is a sugar substitute frequently used in cereals, sugar-free chewing gum and low calorie soft drinks. A controversial substitute, aspartame is up to 200x sweeter than sugar making us debate whether this is a healthy substitute, in terms of changing habits. However, as science advances more data has revealed that diet beverages may not actually be much better for our health. A recent study suggests that drinking only two servings of diet drink a day can substantially increase the risk of heart failure. Should we therefore eliminate all forms of sugary drinks from our diet, including diet drinks? The problem with educating children and encouraging similar schemes to Change4Life is that they are only short term solutions. As humans we are tempted too easily by the goodness of sugary products and the convenience of take-aways and ready meals. Which is why enforcing laws such as a sugar tax may be deemed as a more effective solution as it forcefully makes it more difficult to access sugary products. Similar campaigns have been put in place to target a reduction in smoking and alcohol consumption, so why can it not work for reducing our sugar intake? What do you think is the best way to reduce our sugar intake? We’d love to hear your opinion.